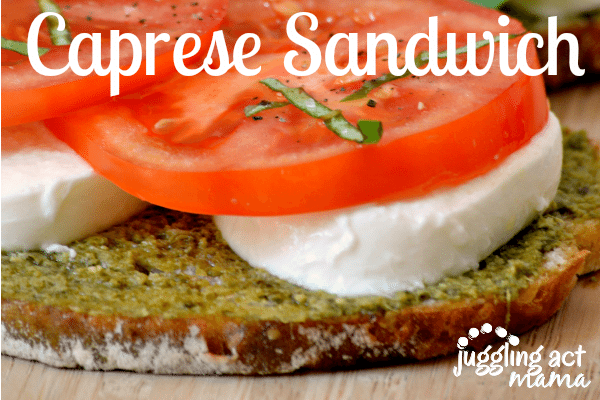 This Toasted Caprese Sandwich starts with homemade pesto, slathered on toasted sour dough bread. But the real stars are the fresh tomatoes, basil and mozzarella on top! Who doesn’t love the fresh flavors of vine-ripe tomatoes, fresh mozzarella and fresh-picked basil leaves? I’m forever coming up with versions of caprese dishes for my husband to try. 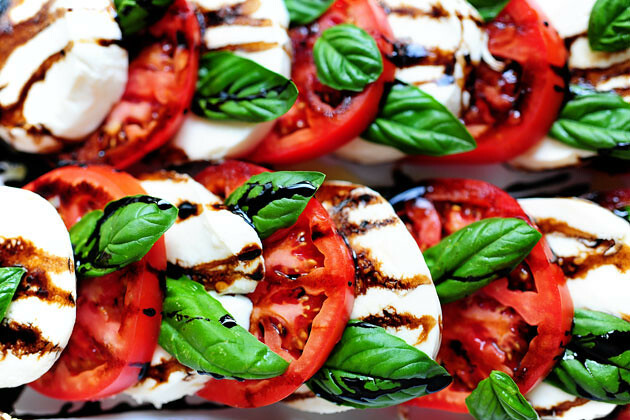 There’s just something about the tomato-basil-mozzarella combo that is so good! This is THE meatless summer sandwich to have at your next picnic or outing. Wrap the sandwiches in parchment paper to keep them fresh and delicious. 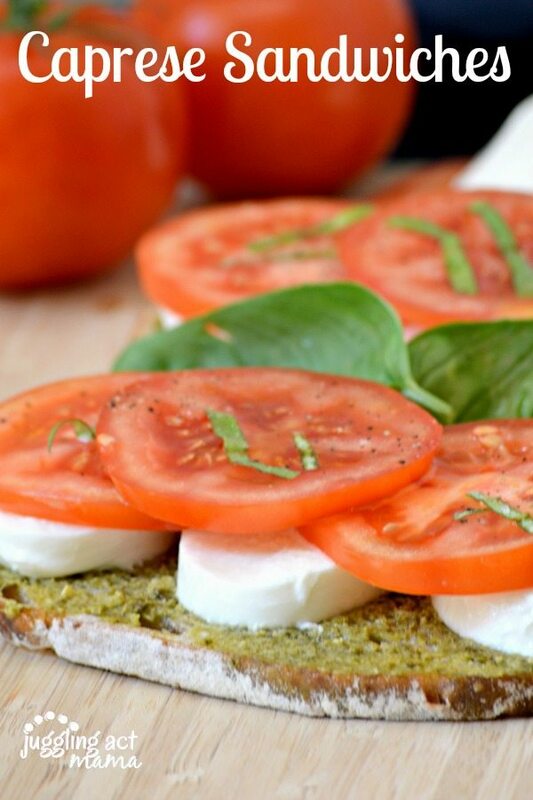 Using fresh local ingredients makes a big difference in this Toasted Caprese Sandwich. We grow our own tomatoes and basil in the summer, but if you don’t (or they’re not in season and you have a craving), visit your local farmer’s market. Often times they will have fresh mozzarella or even freshly baked bread, too. And really, what’s more quintessential summer than the farmer’s market? 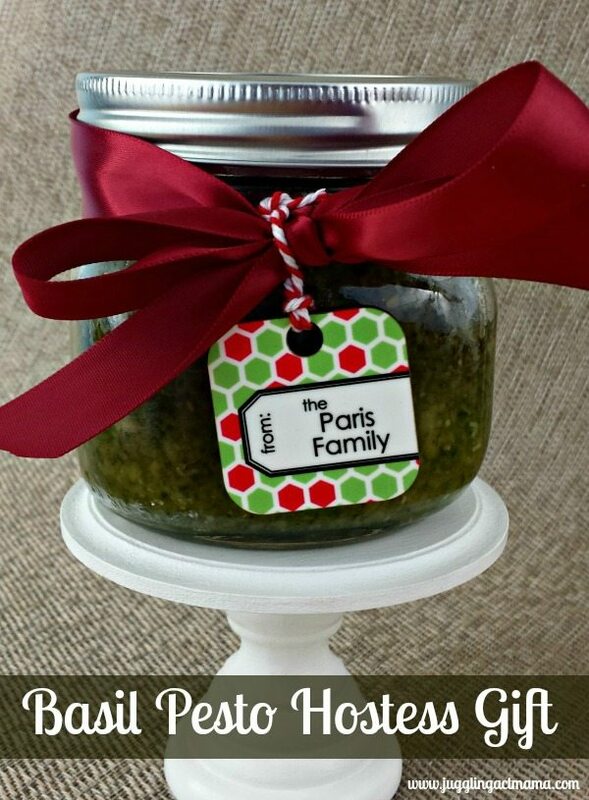 Toast the bread until just crisp, then spread each slice with a thin layer of pesto. Layer half the mozzarella and the tomato slices on one of the slices. Season with a drizzle of olive oil, salt and pepper to taste, and add the chopped basil. You can add a drizzle of balsamic vinegar to the sandwich also if you like. 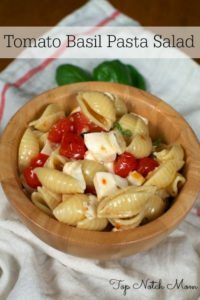 I am so inspired by The Pioneer Woman’s Caprese Salad, (not to mention her incredible photographs.) If you want to add a little something special to this Toasted Caprese Sandwich, check out her balsamic reduction. You can serve it on the side or drizzle it right on top. Having a party? 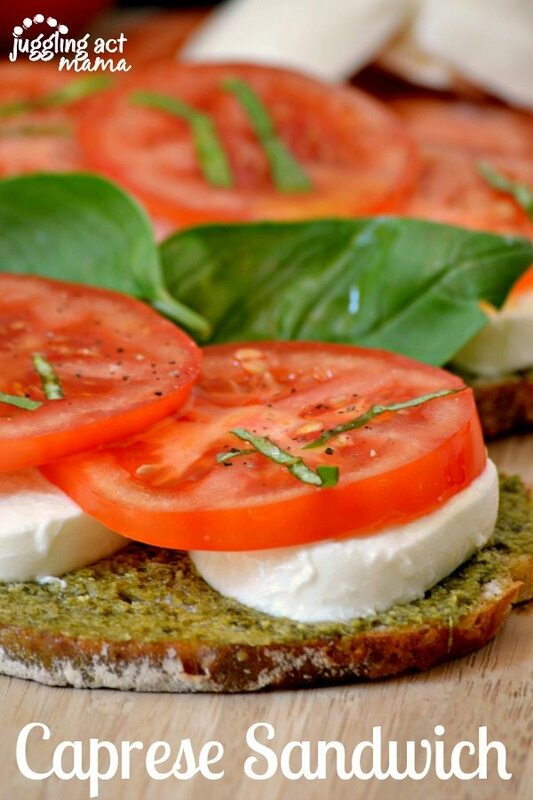 Make smaller versions of these Toasted Caprese Sandwich for an appetizer or snack using French bread. They would be great for a party that way. They’re also a great vegetarian option at a cookout just the way they are. This looks amazing! My garden is full of basil and tomatoes right now – guess I know what we’re having for dinner tomorrow night!